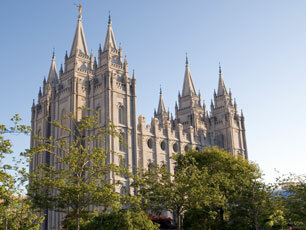 Mormon.org is the official site of the LDS church. Post-Mormon.org is a community for people needing support as they leave, or consider leaving, the LDS church. Mormon Stories is a site where Mormons, questioning Mormons and ex-Mormons can share their opinions and experiences. Feminist Mormon Housewives (does what it says on the tin). Mormon Think is a site produced by active members of the church and takes an evidence-based look at polygamy, translation, racism etc. F.A.I.R (The Foundation for Apologetic Information and Research) is a site that tackles the same issues, from a faith-based perspective.